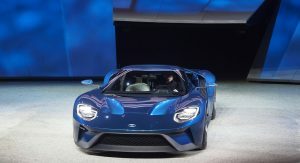 Ford has unveiled the all-new GT supercar in Detroit, a mid-engined coupe that will go into production in 2016 powered by a new twin-turbocharged Ford EcoBoost V6 with more than 600hp. 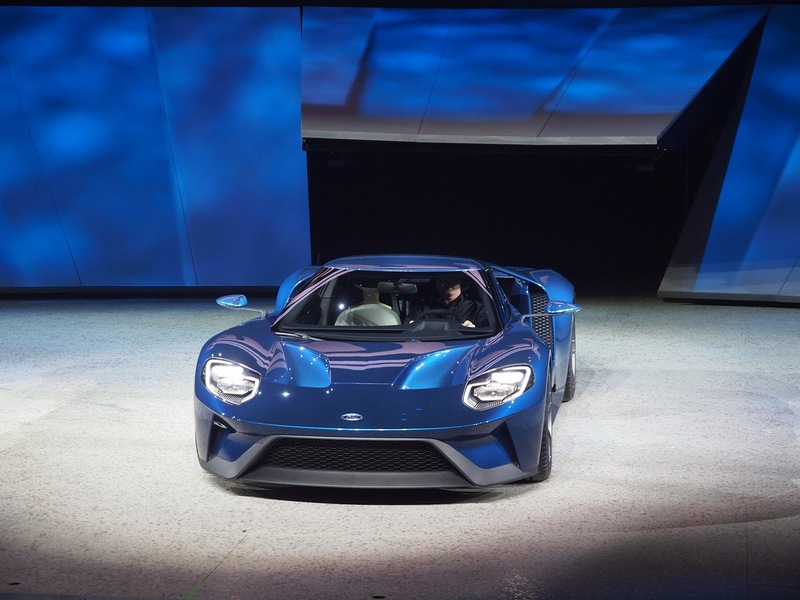 Ford describes it as an “an ultra-high-performance supercar” that serves as a technology showcase for top EcoBoost performance, aerodynamics and lightweight carbon fiber construction. 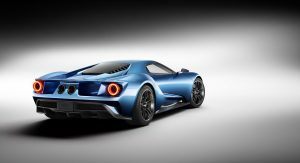 The Ford GT will feature the most powerful EcoBoost production engine ever, as well as race-proven technology that will allow it to compete with exotics when it goes into production in late 2016. 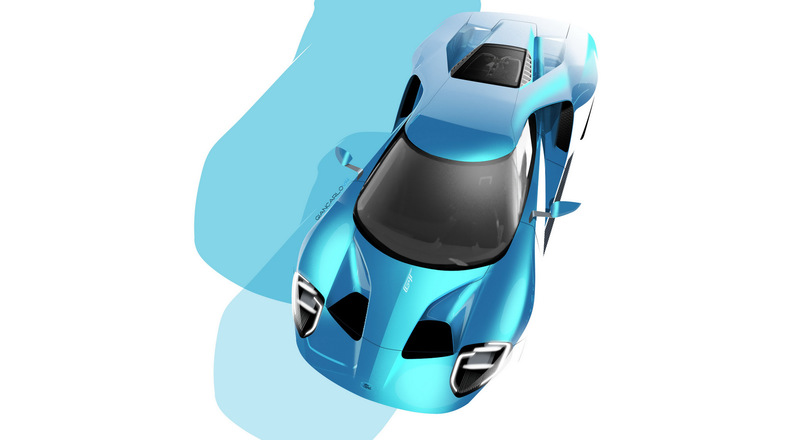 The launch year was chosen specifically to celebrate the 50th anniversary of Ford GT race cars placing 1-2-3 at the 1966 24 Hours of Le Mans. The all-new GT supercar features rear-wheel drive, a mid-mounted engine, and a sleek, aerodynamic, two-door coupe body shell. 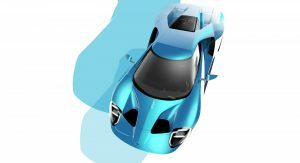 It makes extensive use of lightweight materials, including carbon fiber and aluminum, which will undoubtedly benefit acceleration and handling. 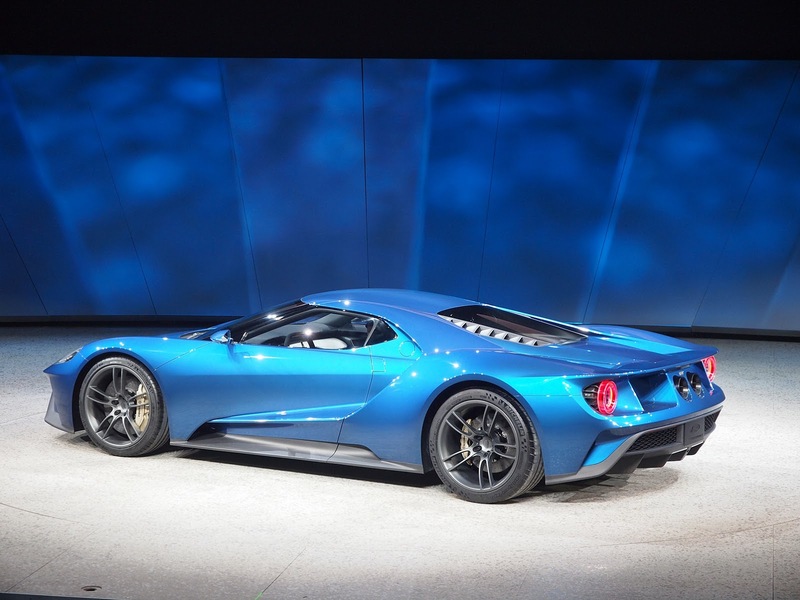 After all, Ford promises “one of the best power-to-weight ratios of any production car.” The Ford GT gets a carbon fiber passenger cell, as well as aluminum front and rear sub-frames encapsulated in structural carbon fiber body panels. 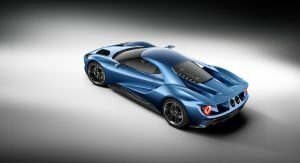 The supercar will also include advanced active aerodynamics, such as a deployable rear spoiler, and a series of material and technology innovations such as SYNC 3 – the latest version of Ford’s advanced connectivity system. 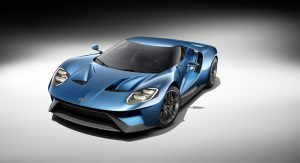 The twin-turbocharged 3.5-liter engine is based on the race-proven engine architecture serving Ford’s IMSA Daytona Prototype endurance racing efforts and is said to feature a wide powerband with impressive time-to-torque characteristics. In the GT, the engine features an all-new, port/direct dual fuel-injection setup to improve engine response, plus a low-friction roller-finger-follower valvetrain. 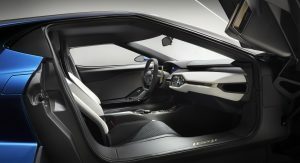 The powerplant will be mated to a 7-speed dual-clutch transaxle transmission. 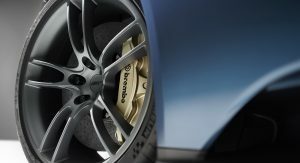 The chassis is suspended by an active racing-style torsion bar and pushrod suspension, with adjustable ride height, and the car also gets carbon-ceramic brake discs at all four corners. 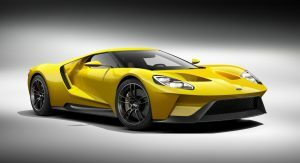 As for the design, the Ford GT is obviously paying homage to the original GT race car spiced with modern design cues that make it look sharper and more aggressive. 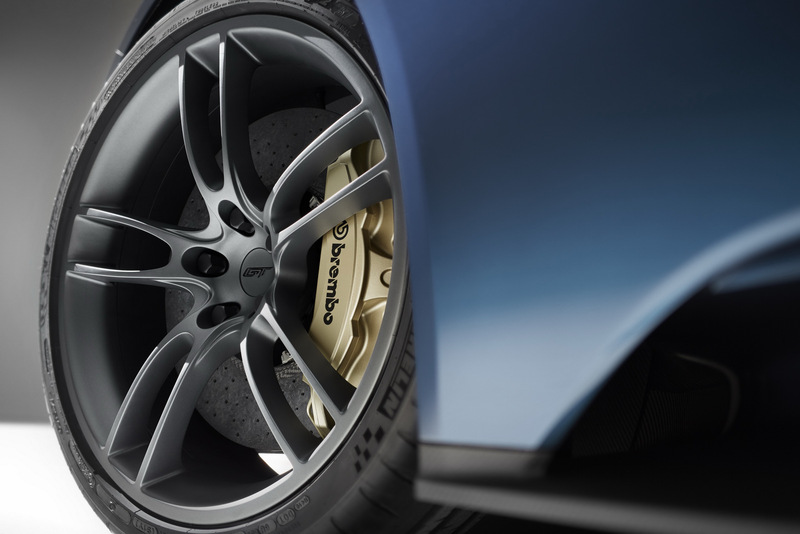 The car rides on 20-inch wheels shod with Michelin Pilot Super Sport Cup 2 tires featuring a unique compound and structure designed specifically for the Ford GT. 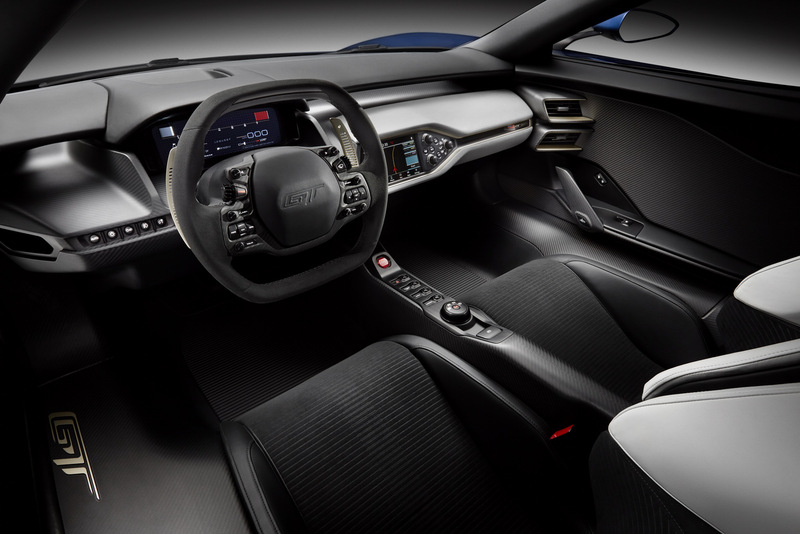 Inside, the two-seat cockpit features driver and passenger seats integrated directly into the carbon fiber passenger cell, combined with adjustable pedals and steering column. 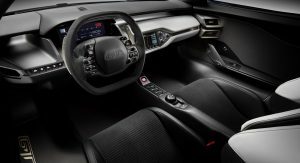 An F1-style steering wheel integrates all necessary driver controls, allowing uncluttered access to the transmission paddle-shift controls. 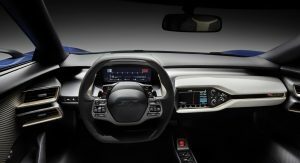 The fully digital instrument cluster provides driver-focused data and is configurable for multiple driving environments and different driving modes. 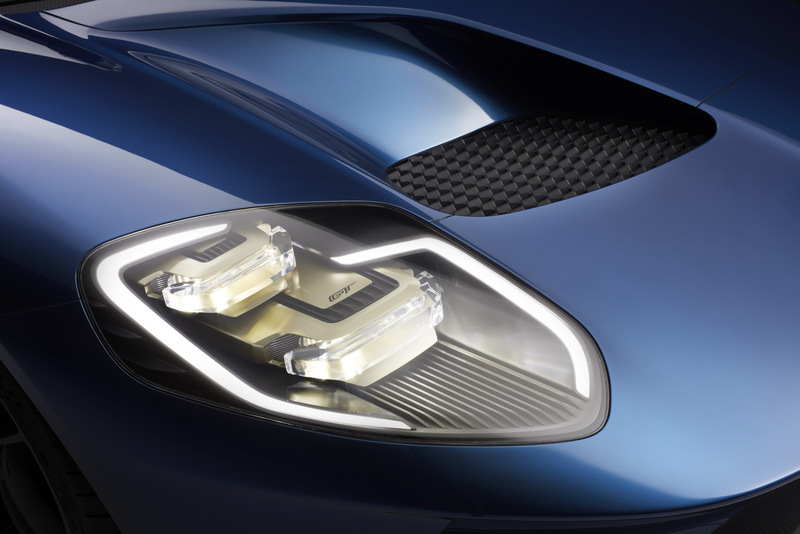 Unfortunately, there’s no official word yet on performance specs. Is this going to use EcoBeast name ? not liking the front air intake design but the rest of the car looks great! The one in the middle is, it just doesn’t go to the engine, it goes to the hood vents. Just because it doesn’t cool the engine doesn’t mean it isn’t an intake. The slitted side ones cool the brakes. Ford Carrera Pantera Miura GT! Nicely done!! it has the looks of a super car but twin turbo v6… man. i know everyone is using turbos now but it just seems so un-american. 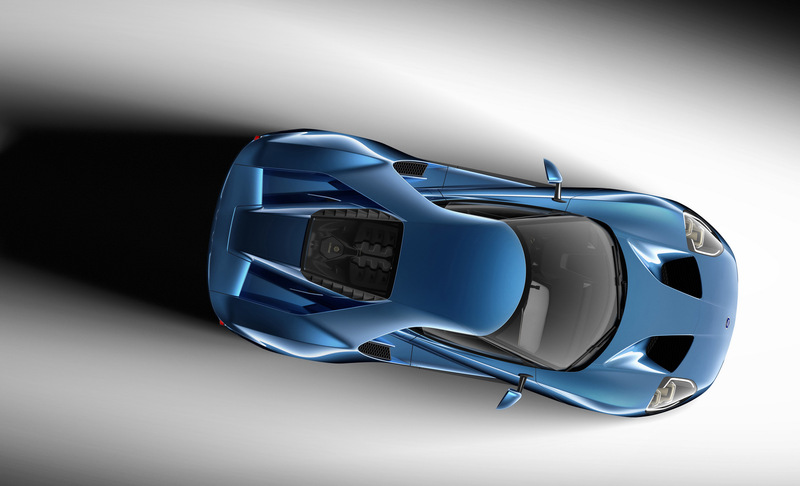 Acura NSX competitor more than anything. Except it looks much better. Elements of Lamborghini-Miura in the design, but- BRILLIANT! 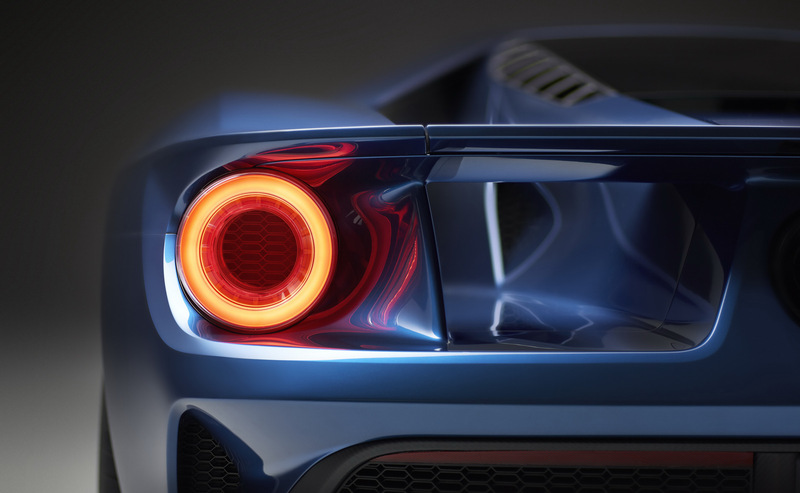 Ford is giving Ferrari a lesson again- on making cars pretty again. From the rear “she” is Wicked! It kinda looks like LaFerarri tho, the whole design and the purportions. Lamborghini Miura’s original design was inspired by the GT-40. Just possibly the birth of a true legend once again….utterly brilliant! The roof to rear corner arch, what is the purpose? It appears to pull up the wheel cover and increase dirty air for the wing??? It doesn’t make sense to me. 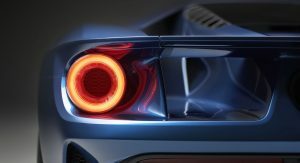 Yes, looks to me at high speed supercar racing that will cause lift and completely counter the rear wing, but are these actual photos, or drawings? Actually I like the front end but I don’t know about the rear design. Anyhow, I think the overall design looks unique.Very original. I think it could’ve been much better working on details for the side and rear. Look at it from the top down and see the work the designers did with the flow of the car from stem to stern. It’s breathtaking. Nice Ferrari influence on the exterior. I like that they went for revolutonary route for the interior not a carryover from last generation. It’s time they ditched it. 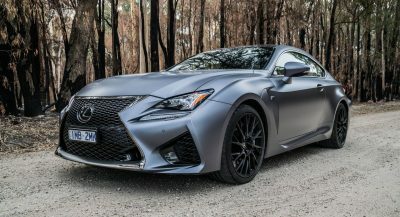 I actually much looking forward for it, even though it is a V6 rather than V8. THIS is the ultimate American sports car to me. Everyone says Corvette or nothing, but as much as I like the C7, I’ve never bought into that line of thinking. To me, THIS is perfect. THIS is the Euro fighter Ford and America deserves. Close to perfect for me, but I’m still like it! I agree, this is an incredible machine – to the point where it could unseat the Z06 as my current favorite American sports car – at least until the next generation rear engine Zora/ZR1. 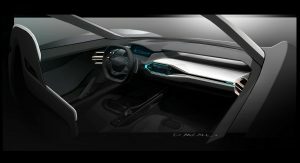 I’ll be studying this vehicle closely as its near perfection design wise and I know the performance will be on tap. 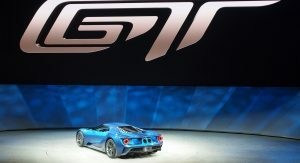 The Ford GT will also be produced in very limited numbers making it that rare vision. 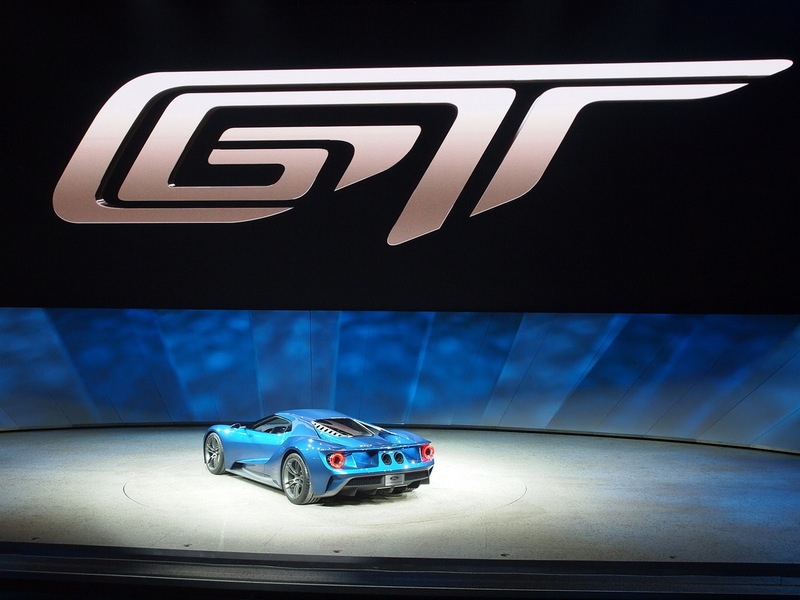 I’m thoroughly impressed by Ford’s successful efforts. Looks, performance, legacy – and least we not forget value – what more could one ask for in this type of vehicle. On the topic of design, there’s really no comparison between this and the Corvette. 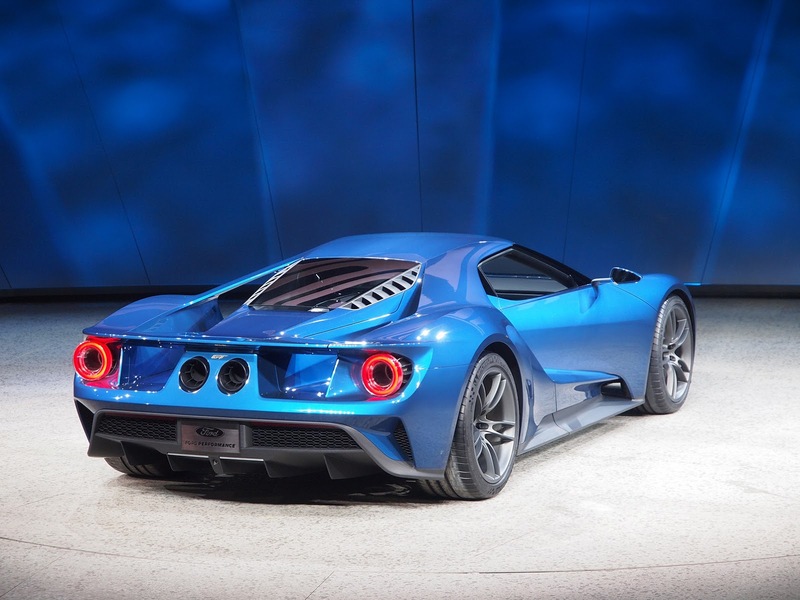 The C7 looks so cheap and inelegant compared to this. 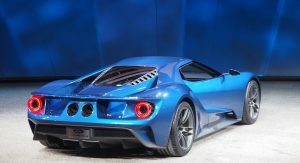 I know they’re not direct rivals, but in my opinion, this has already unseated the C7 at the top of the American sports car hierarchy. The exclusivity also excites me. The C7s are ubiquitous. Everyone has one. People don’t really think about that when extolling the virtues of the car. This will be rare and truly special. I mentioned the Z06 because up until today it was the formidable sports car to top when it comes the performance + value quotient. 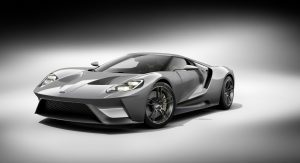 The upcoming Zora/ZR1 will be incredibly amazing from a performance stand point however Chevy will be hard pressed to design a better looking supercar than this Ford GT. 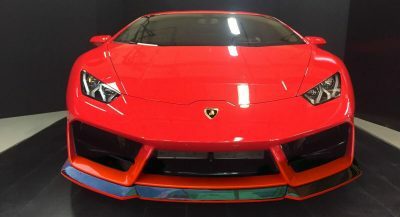 Coupled with limited edition exclusivity and a price point likely under $175K – its a classic before it ever hits showrooms and therefore its been added to my personal wishlist to go into the collection. I’m craving more information and images so I’ll be seeking updates from the far reaches of the web. 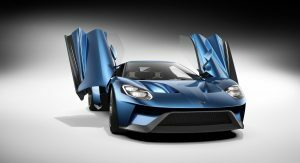 With so much race technology, a carbon fibre monocoque and crazy exclusivity you really expecting the GT to be under 175k? GT40’s were sold in the mid 2000’s for between $125-166K (with dealer markup). 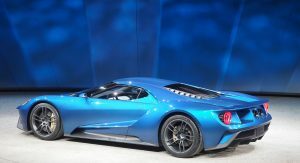 Ford could name their price for this new iteration of the iconic GT however I believe it will begin from $175-195K before options and dealer mark-up – even with the new age components and tech that will come onboard. Still a relative bargain considering its limited run exclusivity and future appreciation as a collectors item. Those are my thoughts alone however check other boards for different perspectives as others believe it will start closer to $250K. 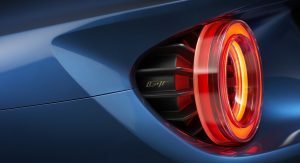 Its a halo car so Ford will likely take a loss on each unit – will do wonders for the brand overall showcasing its performance prowess. They were in such demand that I saw them trading in California for $275 – $300K. This was during the real estate boom so money appeared endless. Hope they keep it “reasonable”! 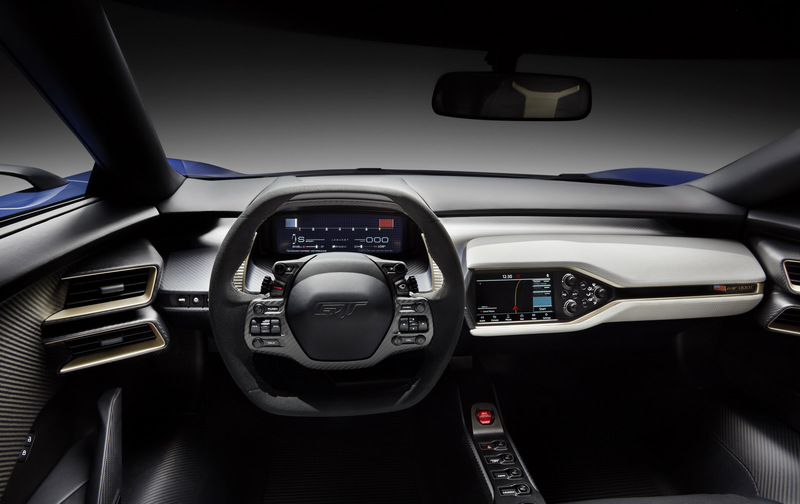 C’mon be nice about the C7. This Ford is stunning. 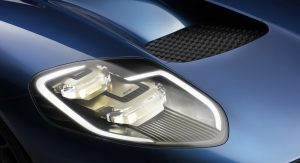 I hope this pushes GM into building the Zora/ZR1. Ok, this changes everything. Ford is absolutely serious about delivering one of the finest supercars on the market. 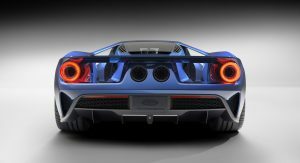 This design is amazing – its distinctly Ford GT with a hint of Italian Bull – love those rear after-burners 😉 I’m thoroughly impressed as I was just expecting a warmed over original GT. This beauty has made it onto my top list (that secret one all true enthusiast keep and update). 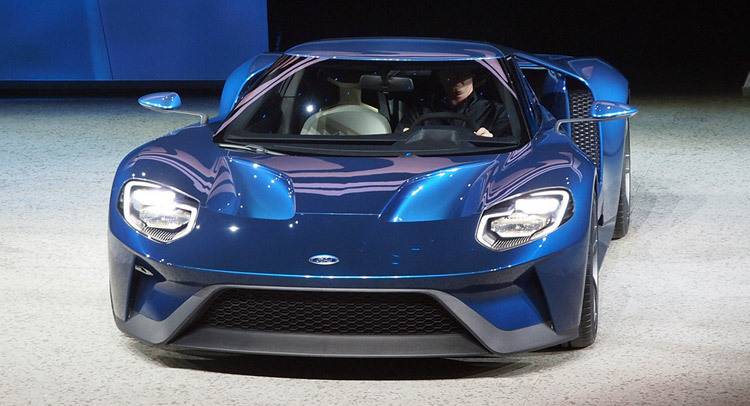 Great job Ford! I’m laughing because it’s so true. I just can’t even process how perfect this is and how much I want one. For me, it’s the most desirable American car ever. 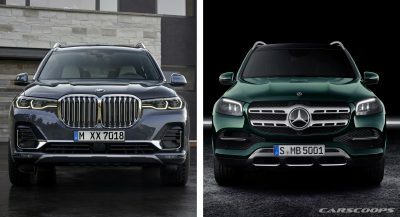 They’ll be sold out before they even hit the showroom. Startup and idle. It sounds suitably nasty. Can’t wait to hear it roar. Batman, your car has arrived.. This is just excellent. 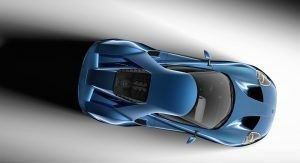 I can see the GT40 influence in proportions, rear three quarter and front end. 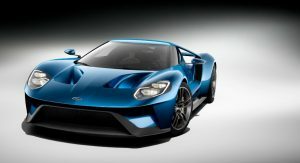 Its got the history covered but its so forward thinking.. really outstanding job Ford!! This is stunning! Absolutely stunning! I particularly love the rear end with those flying buttresses. Hardly inspired design. It’s a blatant blended rip-off of those three. Previous PostPrevious This is the New 2017 Ford F-150 Raptor!